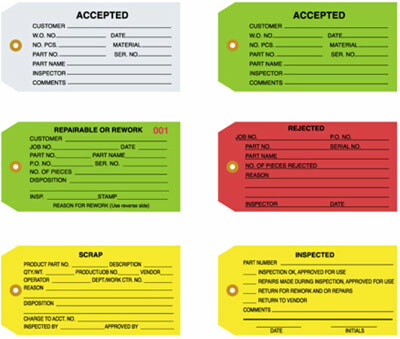 Inspection Tags, 1 Part Inspection Tags, Quality Control Tags, Riverside Paper Co.
Quality Control Tags and Inspection Tags available plain, pre-strung or pre-wired. Our Repair/Rework Tags are available pre-numbered. Call us for information about custom printed tags.